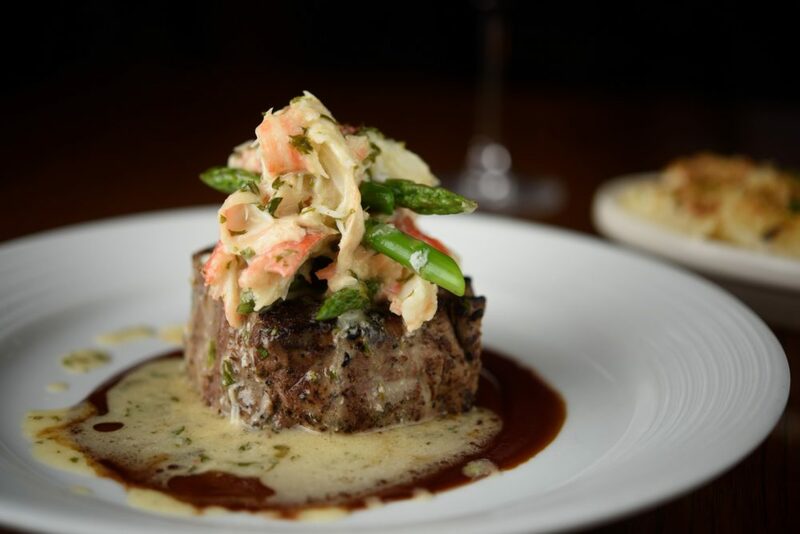 SMALL BITE: The Great Plains Cattle Co. is one of nine eating destinations inside Ameristar Casino Hotel Kansas City. 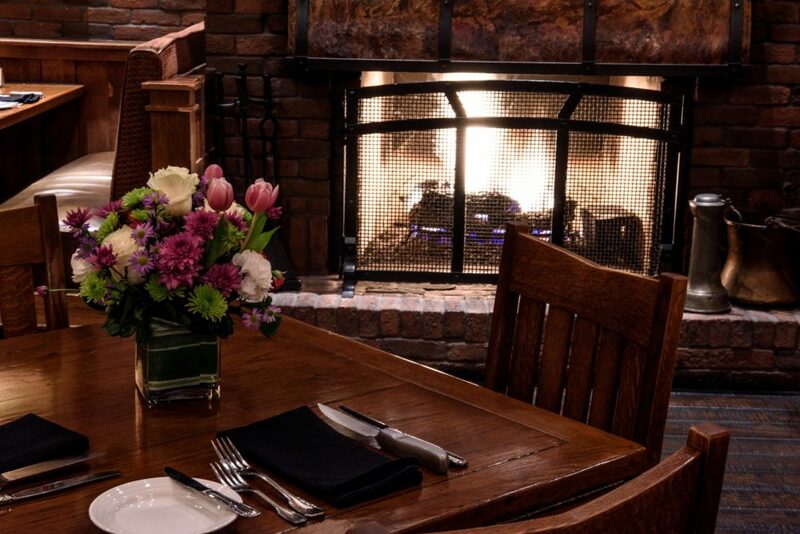 The vibe is down-to-earth Western, calling upon appetites for hot, soulful cooking and cozy campfire conversations, thanks to the two fireplaces in the expansive dining room. 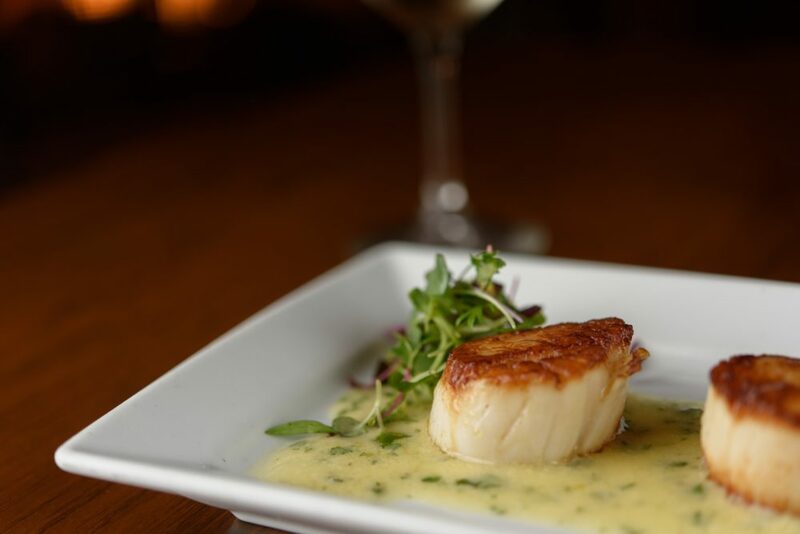 It is known for tender steaks, fresh seafood and an extensive wine list. Also, private dining is available for up to 50 guests. 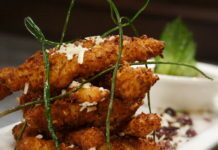 SIGNATURE DISHES: “The halibut is to die for,” says Chef de Cuisine Ben Wallenka. 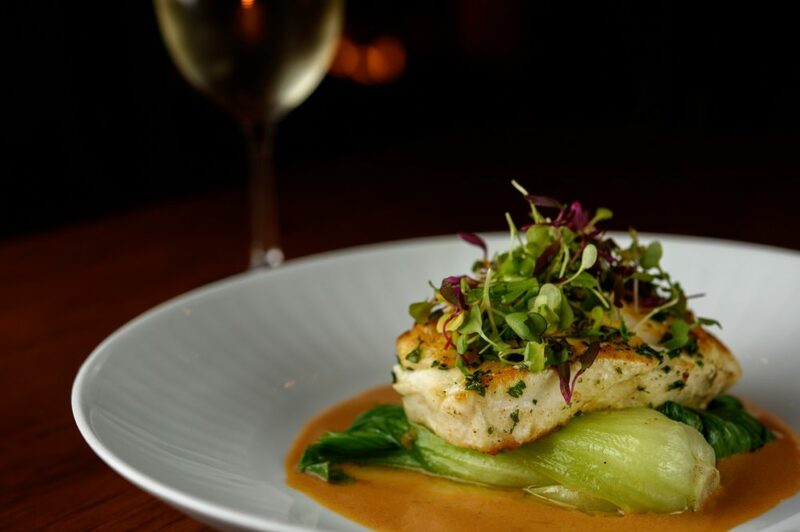 It’s a light and fresh 8-oz Wild Alaskan Halibut with Classic Lemon-Chive Beurre Blanc Sauce. 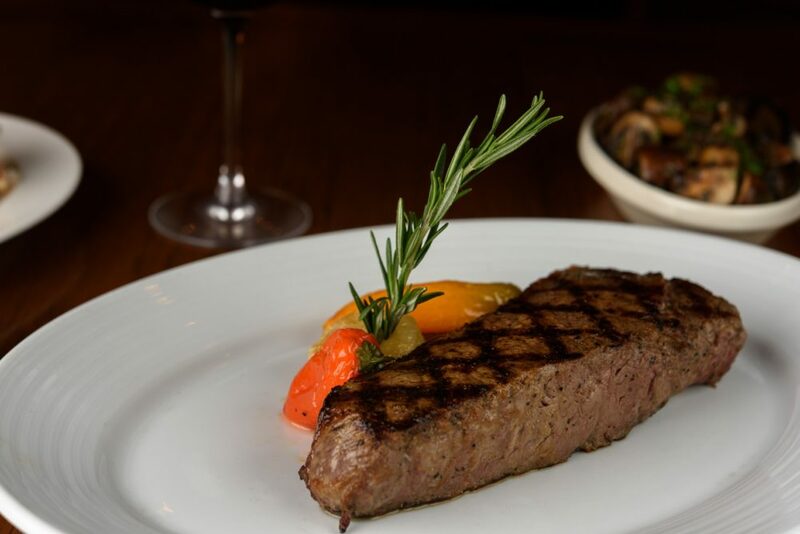 Underneath all steaks is the chef’s signature brush stroke of Roasted Spanish Piquillo Pepper Chutney blended with extra virgin olive oil. The restaurant offers a myriad of enhancements to top off your steak, like Blue Cheese Crust and Crab Oscar-Style, with asparagus tips and Bernaise sauce (see photo above). A must-try side dish is the Fresh-Shucked Corn with Honey and Butter. An unexpected, but very pleasing flavor combination. And an “off-the-menu” item that Chef Wallenka really enjoys making upon request is the amuse-bouche of Scallops and Wild Mushrooms. 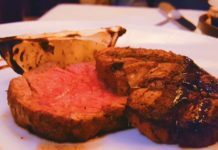 DISH FROM DINERS: “[Trumpets sound] We ate at the Great Plains Cattle Co. on an early Saturday evening. We’d planned to get a light meal so we’d have room for the calimari appetizer. I forgot how much food you get here! We had great service. Love the bread basket! Didn’t realize we’d still get the salad and bread since we were ordering burgers and smaller dishes…but we did. It was delicious. 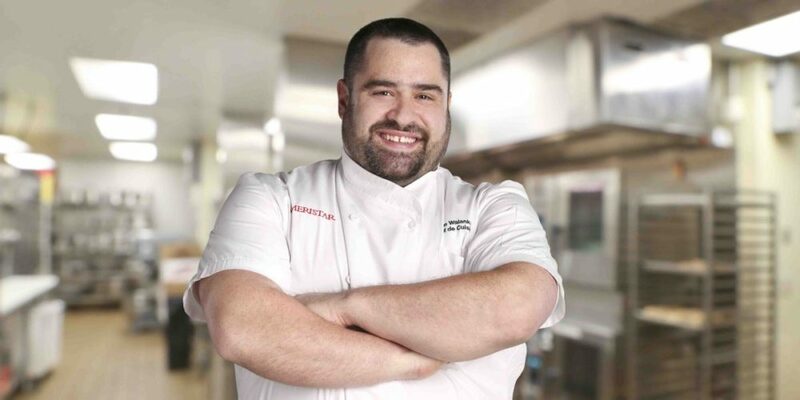 All of it.” AND: “They have a great new chef, who I had the opportunity to meet, and he is phenomenal. He was on the show ‘Hell’s Kitchen’ and made it far. Oh, he is a great chef!” BTW, that is Chef Ben Walanka below. What a personality! 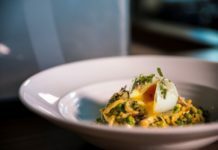 FOOD FOR THOUGHT: Chef de Cuisine Ben Wallenka is a star – literally! He came in 4th Place on Season 5 of “Hell’s Kitchen.” He will be returning for the “Hell’s Kitchen All Stars” show airing September 29, 2017. Chef Wallenka started cooking with the Chicago Symphony Orchestra, preparing special meals for the musicians and visiting musical glitterati, including cellist Yo-Yo Ma. Wednesday through Sunday, 5:00 p.m. – 10:00 P.M.
ABOUT AMERISTAR KANSAS CITY: Have you ever been on a large cruise ship, like a Royal Caribbean, that feels like a gigantic floating city, with restaurants and shops at every turn, a movie theater and a casino? That’s what it feels like when you walk around Ameristar in Kansas City, owned by Pinnacle Entertainment, which operates 15 gaming entertainment properties in the United States. 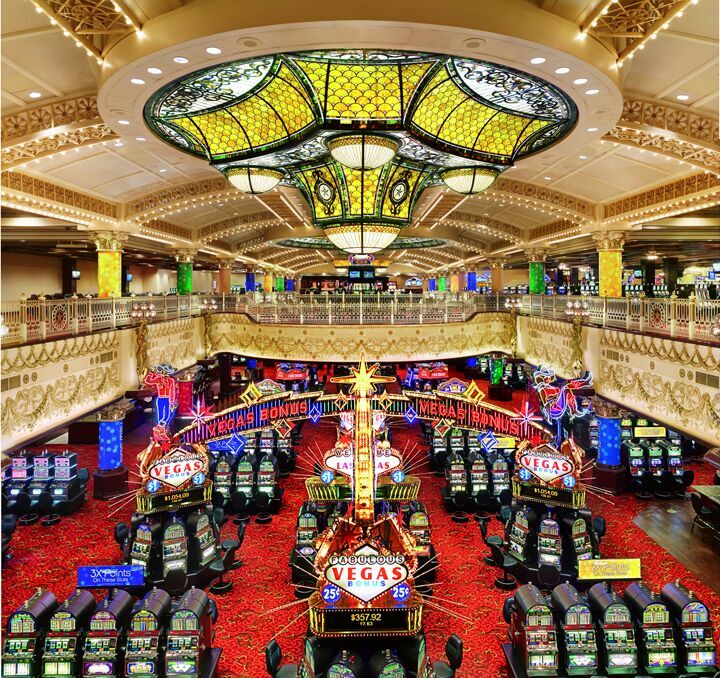 Ameristar Casino Hotel Kansas City is a luxury hotel with NINE—yes, you heard that right—NINE restaurants, 18 movie screens (seriously?? 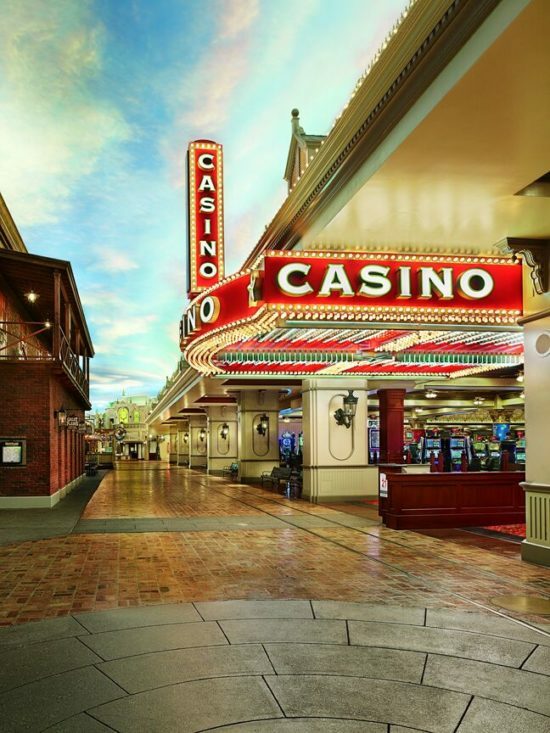 ), a Kids Quest entertainment arena for younger guests and of course, one of the largest casinos in Missouri with games for every gambler—from baccarat and poker to slots and table games.